Grilled Meat Bad for Your Heart? You knew grilling those weekly hamburgers makes your doctor shake his head. 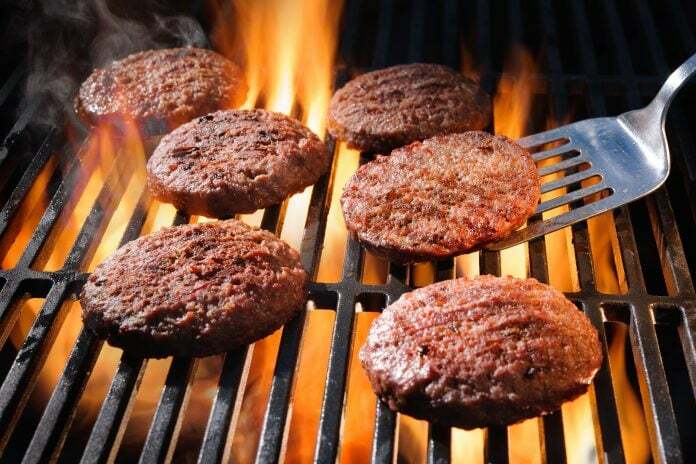 According to a new study, though, the problem actually has more to do with the grilling than those juicy, greasy beef patties. The new study, reported in a release by the American Heart Association News, reveals how grilling meat at high temperatures may be linked to high blood pressure. To reach that conclusion, researchers studied those who ate overly cooked meats often versus those who didn’t. According to MLive, their research included over 100,000 participants. This made it an attention-getter in terms of scope. To the shame of grilling aficionados everywhere, researchers did find that grilling increased hypertension risk. According to the report, people who ate grilled meats at least 15 times per month were 17 percent more likely to suffer high blood pressure. “Our findings imply that avoiding [these] cooking methods, including grilling, barbecuing and broiling, may help reduce hypertension risk among individuals who consume red meat, chicken or fish regularly,” Liu said. Liu presented these results at the American Heart Association’s Epidemiology and Lifestyle conference in New Orleans. We may not know why there’s such a phenomenon between high blood pressure and grilled meats. Researchers focused more on the outcome in this study. However, other studies have suggested a connection between high-temp meats and harmful chemicals they produce. The National Cancer Institute explains that chemicals can form in certain meats cooked at high temperatures. Think pan-frying or open-flame grilling. These chemicals are called HCAs (heterocyclic amines) and PAHs (polycyclic aromatic hydrocarbons). Scientists have found that being exposed to both can cause changes in DNA. The NCI does mention that human studies haven’t been able to show a direct link. Despite targeted questionnaires and research, scientists need to find a better way to identify the amount of chemicals people are exposed to. In animal studies, though, scientists have watched cancers form when animals were fed diets high in HPCs and PAHs. Other human studies have suggested a correlation, but again more research needs to confirm it. So maybe grilling, broiling and pan-frying are out of the question, but what about smoking meat? The flavor draws many meat-eaters into using this method, but the International Agency for Research on Cancer says don’t. Back in 2015, the IARC announced that it was labeling processed meats a carcinogen and red meats a probable carcinogen. How did the organization suddenly come up with such a claim? It went on the advice of 22 researchers who had reviewed over 800 studies. That’s a hefty amount of research to wave off if you’re skeptical about this claim. According to the researchers, people who ate processed meats daily increased their risk for colorectal cancer by 18 percent. And that risk was with a fairly small amount of meat too—the equivalent of 4 strips of bacon per day. The National Cancer Institute would second this finding as PAHs are often found high in smoked meats. Cancer risk aside, smoked and other processed meats often mean adding large amounts of sodium to a meal. Due to the American problem of high blood pressure, people probably don’t need the added salt anyway. If someone ate smoked meats a lot, the habit could lead to heart disease or other serious cardiovascular problems later on. However unfortunate for grilling lovers, the consensus seems to rest at the harmfulness of grilling, smoking, barbecuing, broiling and pan-frying. In short, eat meats by cooking them at lower temperatures and keep cooking times reasonable. Otherwise, grill at your own risk.